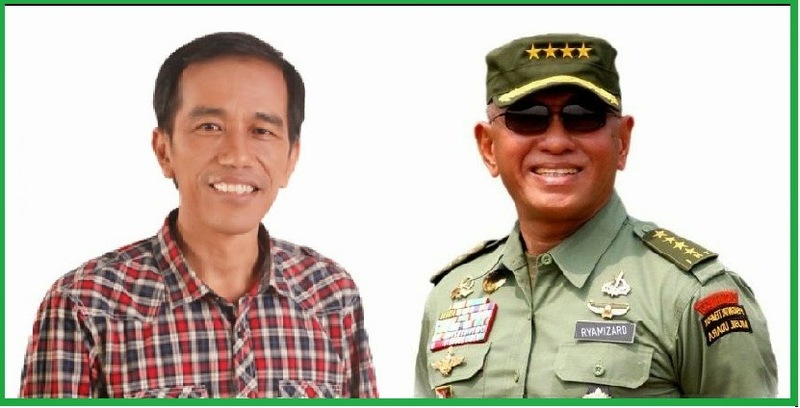 With the much-anticipated official nomination by the Indonesian Democratic Party of Struggle (PDI-P) of Jakarta Governor Joko “Jokowi” Widodo as its presidential candidate, the electorate’s attention has now shifted to the next logical question: Who will be Jokowi’s running mate? PDI-P secretary-general Tjahjo Kumolo, however, was quick to respond by suggesting that the party had not yet reached the point of deliberating that particular issue. “The PDI-P has not yet determined its criteria, nor who the potential running mates for Jokowi might be,” Tjahjo told journalists at the Party’s headquarters in the southern part of the capital on Friday. Previously, however, his deputy, Hasto Kristiyanto, had provided hints as to the criteria and the qualities that a PDI-P vice-presidential candidate should have in order to be able to climb aboard the bandwagon. “Our party’s stance is that a president and his or her deputy must be viewed as a united entity. Neither of them can stand on his or her own,” Hasto said in a recent interview with Jakarta-based foreign correspondents. He said the PDI-P had set a number of criteria to be used as guidelines in its effort to net the perfect running mate for the party’s presidential candidate. Nonetheless, Hasto said, the PDI-P would also seriously consider a candidate who had strong roots or support among the Muslim community. “Our history records that leaders and members of the Nahdlatul Ulama [NU] and Muhammadiyah fought and had a significant role in the nation’s struggle for independence from colonialism. In simple words, the PDI-P wants to give the opportunity to those elements that sweated during the independence struggle to take a place in the government,” he said, referring to the country’s two largest Muslim organizations. Hasto, however, shared Tjahjo’s belief that the PDI-P had not got around to naming potential candidates yet. “We are now consolidating a number of ‘good people’ that share the same commitment as us,” he said. Unlike the party’s executives, political observers have been quick to suggest possible names that they believe to be a good match for Jokowi. “The PDI-P should seriously consider former vice president and former Golkar Party chairman Jusuf Kalla to team up with Jokowi. Kalla is a man of action and is a perfect match for Jokowi,” political observer Ikrar Nusa Bhakti from the Indonesian Institute of Sciences (LIPI) said on Friday. “Jokowi will need someone who can be a balance for him. The figure who I believe fits is JK [Jusuf Kalla] as he is strong on the economy and has a good approach to dealing with the House of Representatives,” he added. He refuted the idea of a leadership split if Kalla was paired with Jokowi and they won the election. “I believe JK will not intrigue against Jokowi. He will not take credit for his actions,” Ikrar said. He also argued that Kalla, a popular and successful businessman from South Sulawesi, could secure the votes of Eastern Indonesia. Political observer Arie Sudjito of Gadjah Mada University (UGM) was of the same opinion, saying that Kalla was by far the most qualified running mate for Jokowi as he possessed “strong leadership, as well as resources — including votes and experience — that would contribute to victory if they paired up”. The PDI-P, however, would find it difficult to control Golkar if they teamed up. At the same time, Arie suggested that someone from a military background could also meet Jokowi’s requirements in a running mate. “There is no longer the stigma that those coming from the military are poor leaders,” he added. At a separate event, a group of retired generals expressed their preference for a civilian-military leadership for the country. “Results from our nine surveys have shown that a military — civilian leadership combination is still desired by the people,” the group’s leader, Gen. (ret) Luhut Binsar Panjaitan, told a press conference on Friday.